The Lighting Global program and its regional affiliate programs – Lighting Africa and Lighting Asia – all work to build markets capable of bringing high quality, affordable modern off-grid lighting products to off-grid consumers. Supporting client companies to expand markets for their quality-verified products is a cornerstone of this work. Client companies become our Program Associates after one or more of their products meet the Lighting Global Quality Standards and the company passes our due diligence screening. There are two categories of Associates: developers/manufacturers of products that have met the Lighting Global Quality Standards, and distributors of these products. Associates receive global and country-based Associate Services including privileged access to market intelligence reports, business to business linkages, facilitation of access to finance, participation in consumer education campaigns and general business development support. Visit our product testing pathway to learn more about submitting products for quality verification, and how to become a Program Associate. Niwa - Next Energy Products Ltd.
Shanghai EASY Renewable Energy Co.
AEG International, is a North Carolina USA company with expertise as a global provider of renewable energy engineering services and products, ideally suited for developing nations. For AEG, being successful is more than a large bottom line and big profit margin. AEG was created to solve some of the world’s most pressing problems for those most in need. We engineer, design and build only the highest quality products to meet the needs of our customers in developing nations. Solar solutions include solar lantern kits, Firefly, our pico solar home power station, solar streetlights, and multi-MW solar farms. All Solar World manufacturers world-class solar lighting solutions primarily for consumers in the developing world. Our complete home-use lighting kit containing contains advanced technology including high efficiency, patented LED bulbs, a USB socket offering the ability to easily charge multiple mobile phones each day and an advanced battery pack containing a sophisticated printed circuit board to carefully control charging and discharging. We also manufacture over forty accessories that compliment our home-use kit. All our products are affordable yet manufactured to the highest possible standards and as a result carry a full two-year guarantee. All weather solar is a ten-year-old global top ranked developer and manufacturer of solar powered products in China. We have delivered high quality and affordable solar lanterns, solar lighting system to people without access to reliable energy in Africa in the past years and have enjoyed good reputation. Our products greatly meet their lighting and charging purpose while they don’t need to pay the bill. Let more people enjoy a better life by providing them with our products. Global potential partners are welcome to join us to share a sustainable off-grid lighting business growth. Nearly two billion people lack access to reliable and affordable modern energy, which limits their health, education, and earning potential In addition, over 1 million children under the age of five die from diarrheal diseases, a leading cause of which is unsafe drinking water. 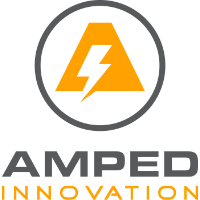 Amped Innovation partners with social enterprises to design radically affordable products that address these basic human needs. They focus on reducing product cost to enable rapid adoption of proven technologies. They focus in the relentless pursuit of low-cost electronic and mechanical design, at the highest system efficiency. Anji DASOL Solar Energy Science & Technology Co., Ltd., with a registered trademark “DASOL”, was established at 2006. DASOL is specialized in research, development, manufacturing and service of solar modules, solar lighting systems and solar power systems. With the leading professional R&D team and advanced manufacturing and testing facilities, DASOL has a concentration for off-grid electrification. Quality is one of our key elements for continuous growth. All products are designed according to IEC/UL standard and manufactured in ISO9001 certified production lines. We have TUV, CSA, IEC, CE, and RoHs certification. Azuri Technologies is a commercial provider of PayGo solar systems to rural off-grid communities. With a wide reach in sub-Saharan Africa, Azuri is leveraging mobile technology to turn a development challenge into a business opportunity. Azuri’s solar home systems allow users to access power on a pay-as-you-go basis, providing clean, safe renewable energy affordability little as half the cost of the kerosene they replace. Azuri’s headquarters are in Cambridge, United Kingdom, and has staff in Uganda, Ghana and Ethiopia. Barefoot Power is a business that assists people in developing countries to access affordable renewable energy. We design, manufacture and distribute micro-solar lighting and phone charging products for communities without access to grid electricity in developing countries. Our mission is to help low income families break their dependence on inefficient, expensive and harmful light sources by giving them cleaner and cheaper options. Designed in Australia, Barefoot Power products are available in 22 countries worldwide. BBOXX is a leading off-grid energy service provider. We provide off-grid communities in the developing world with affordable, clean energy solutions. Our hardware products are connected over the local mobile network to our central database, transferring data to help improve development; provide pre-emptive customer service; and allow for remote monitoring and control of the units. Our Solar Home Systems (SHSs) act as the grid ensuring a reliable supply of energy as a service. BBOXX supports a network of service centres and believes physical infrastructure is required to ensure complete customer service and satisfaction. BioLite is a clean energy company that designs and manufactures products that transform the way off-grid households cook, charge devices, and light their homes. We partner with last-mile distributors and consumer finance providers to reach under-served consumers, while delivering comprehensive marketing and after-sales service support. Since our inception, BioLite has developed and launched over 20 innovative clean energy products, manufactured and shipped hundreds of thousands of units to over 100 countries, and established in-country operations in East Africa with over 25 full-time staff. BRIGHT is a Norwegian solar product company catering to anyone who needs to be less dependent on the electrical grid, whether by choice or by living in off-grid or bad-grid communities. Our expanding range of multi-functional solar lamps and home systems with charging capabilities are built to endure harsh conditions. Our products are durable, functional and beautiful – firmly rooted in Norwegian design. Advanced solar technology and rigorous field testing of electronic components and materials create the foundation of lasting, multi-functional, rugged and portable (as well as charming) solar products with high product endurance, low total cost of ownership and minimum waste. Brighterlite bring solar power and the modern world services to the 1.5 billion underserved people in the world. Our Solar Home Systems are offered with an affordable Pay-As-You-Go payment plan. The SHS is equipped with leading battery technology for efficient charging and durability. The systems are durable and will bring light to the rural households for many years to come, providing mobile charging in addition. Other convenient appliances such as our specially designed tv’s, fans, radios and more can easily be connected. The healthy, clean and renewable energy Brighterlite offer substitutes the polluting, hazardous and expensive kerosene which will benefit both customers and the environment. d.light Design is a global energy company delivering affordable solar-powered solutions to people without access to reliable energy. d.light provides distributed solar energy solutions for households and small businesses, transforming the way people use and pay for energy. Through 10 field offices and four hubs - Africa, China, South Asia and the US, d.light is dedicated to providing the most reliable, affordable and accessible solar lighting and power systems for the developing world with the goal of reaching 100 million people by 2020. EcoZoom is a social enterprise and certified B Corp that manufactures, sells and distributes fuel efficient cookstoves and solar powered lighting products. Our solar products come with standard 2 year warranty and completely eliminate the need for unhealthy kerosene lighting. Our lighting products provide light for the home, can play FM radio and charge mobile phones at home or on the go, among other useful functions. We pride ourselves on great quality products and guarantee that any product queries or issues are dealt with accordingly by our friendly technical officers- we are always here to help. fosera manufactures high quality solar home systems for light generation, phone charging, and powering of appliances such as radios, TVs and fans. It was founded in 2011 and has its headquarters near Ulm at Illerkirchberg, Germany, with subsidiaries around the world. Target markets are typically areas without reliable access to grid electricity and off-grid. Special features of its products include a modular and scalable system design, which allows the system to grow together with the demand of the user. fosera also offers a 3-year warranty and spare parts for easy and inexpensive on-site reparation. Freeplay Energy has a long and proud history of developing products for people living off-grid. Back in 1994 it all started with the invention of the world’s first wind-up radio that was used to provide health information to communities in Africa. Today the company specialises in the design, development and manufacture of clean energy products for people living off-grid. We use our core expertise in solar, dynamo, and energy storage technology to create products that are affordable, reliable and life enhancing. Greenlight Planet was founded by T. Patrick Walsh, Anish Thakkar and Mayank Sekhsaria with a vision to become a global leader in delivering clean, safe, affordable energy to the world’s 2 billion under-served energy consumers. With 11 offices in 5 countries, Greenlight Planet has over 600 full-time employees, engages more than 6000 sales agents, and has experienced 100% growth for each of the past three years. The company serves over 15 million users across 30 countries predominantly in Asia and Africa, with growing presence across Latin America. The company’s goal is to reach 100 million off-grid households by 2020. LAGAZEL is the first company to industrialize the production of solar lamps in Africa, in order to bring affordable and high-quality solutions to 650 million African people who do not have access to grid. From € 20 to 30, LAGAZEL KALO solar lanterns are affordable and offer the best quality in the market: a metallic and unbreakable hull, up to 38 hours runtime, 2-years warranty, high-quality after-sale service. As far 2020, LAGAZEL expects 5 active manufacturing facilities and 1.3 million solar lamps sold in Africa. Artist Olafur Eliasson and engineer Frederik Ottesen developed Little Sun to bring clean, reliable, and affordable energy to the 1.1 billion people worldwide without electricity. Unique products with a truly global appeal, profits from the sales in major international museums, design stores and online in the Global North are re-invested into the distribution of the same products at locally affordable prices to off-grid communities, mainly in Sub-Saharan Africa. We work with local entrepreneurs to sell Little Sun products through many channels, including VSLAs, door-to-door sales, and farmers groups. M-KOPA is the world’s leading ‘pay-as-you-go’ energy provider to off grid homes. The company has developed a better way to provide affordable, safe and clean energy to millions of people living off the grid. Thanks to the sun’s rays and mobile technology, customers can light up their homes, charge their phones and tune into the radio and TV. They can do all this at the flick of a switch and for less than they used to spend on kerosene. Mibawa Suppliers Limited specializes in the provision of Off Grid Lighting kits in the rural areas in East African and in future the entire Sub-Saharan Africa. The company has deployed approximately 30000 units of high quality Solar Home Lighting Systems there-by reducing overreliance on kerosene. This has greatly reduced harmful emissions to the environment. Our products are competitively priced, approximately each client spending Kes 20 per day, hence within one year the client actually pays-off the lighting kit. On the contrary, most households spend Kes 40 on kerosene and phone charging which is very expensive. By embracing Mibawa Solarpack 3 kits, clients are able to save more to improve their lives. “MITVA” Solar Lights, Lanterns and Home Lighting Systems are manufactured & distributed by RAL Consumer Products Ltd (RCPL), which has been successfully creating brands by manufacturing & distributing quality products for its customers for the last 4 decades since its inception in 1973. With expert R&D team and state-of-the-art production setup, Mitva is one of the largest selling Solar Lights brand in the Indian sub-continent and is also a member of GOGLA, Netherlands. Mitva is now partnering with International Manufacturers and Distributors to further strengthen production & distribution in Indian as well as International markets. Mobisol combines solar energy with an affordable payment plan via mobile phone, comprehensive customer service and innovative remote monitoring technology. The Berlin-based company offers quality solar home systems to low-income customers in developing nations as a clean alternative to unhealthy, environmentally harmful, and expensive fossil fuels. Systems come in sizes from 80 to 200 Wp to match differing energy needs. Mobisol solar home systems provide enough electricity to power bright LED lights, radios, mobile phones and a variety of household and consumer appliances. The larger systems can also power small businesses enabling entrepreneurial customers to create additional income. With distribution in 100+ countries through hundreds of notable NGOs, corporate and retail partners, MPOWERD is the trusted leader in clean energy products. Luci® is an award-winning, patented, inflatable solar lantern with an unparalleled design combining utility and durability without sacrificing mobility or aesthetic. It's a high-value product at the best lumens-per-dollar ratio. Every Luci is IP67 certified-waterproof, shatterproof, submersible, floatable and bright. Designed for easy and affordable transport, they collapse to 1” thick and weigh as little as 2.5 oz. Since 2012, the company has impacted over 1.6 million people who otherwise live without access to electricity. Nadji.Bi Group is a Pan-African social enterprise that design, develop and manufacture Mobile and Self-Consumption Solar Solutions in Africa. Nadji.Bi Group is having a R&D Laboratory and a manufacturing facility in Senegal, and is present directly or indirectly in more than 20 African countries. Nadji.Bi Group aims to keep developing true innovative solar devices and solutions to answer current and future economic and social challenges of its continent. By developing partnership with local universities and engineering institutes Nadji.Bi is also training and preparing talents of Africans to become the Change Makers of today. NIWA Solar is a German-Cantonese privately owned company based in Hong Kong with a presence in 30 countries. Our products are the result of 20 years’ experience in engineering, product design and mass production. They use state-of-art technology such as the energy efficient LEDs, and long-life environmentally friendly batteries, and are optimized for rural consumers to empower them out of energy poverty. NIWA not only offers the brightest solar lanterns (300 Lumens), but also launched the world's first 100% Modular Solar Systems. Nokero (no kerosene) provides patented and industry-leading efficiency solar lights. Based in Denver, Colorado, USA, we are committed to bringing affordable solutions to empower those living without electricity. Lumos enables people to replace hazardous and expensive kerosene generators and lanterns with modern solar electricity that can power lights, cellphones, fans, computers, TVs and other small electronic devices (all at once, every day). By offering Solar Power as a service, Lumos offers homes and small businesses a simple and affordable way to pay for electricity in small installments using their mobile phones. OffgridSun is an Italian solar company specializing in the development, design, manufacturing and commercialization of leading-edge solar photovoltaic technologies that provide clean and affordable energy to areas with little or no access to grid electricity. The catalogue of the Solar Solutions proposed by OffgridSun blends proven, off-the-shelf mass products for rural electrification with on-demand, customized solutions. We are also curios about researching and developing highly innovative applications of solar energy. Finally, OffgridSun it’s not just about supplying technologies: our customer support comes complete with project advisory, expert installation and training of local human resources. Omnivoltaic is an off-grid electric product company focusing on households or small businesses. Founded by Dr. Huashan Wang, the company has evolved from making basic solar lanterns, to a range of off-grid home electric products such as TV, fan, phone charging and fridge. Omnivoltaic’s core product portfolio centers around reliable energy storage in the 12V and 48V platforms, and, through close relationship with manufacturers, a wide range of high efficiency DC appliances. Its latest development efforts include IoT enabled devices and smart batteries, to facilitate PayGo credit management and intelligent power delivery. Omnivoltaic’s vision is a distributed power generation architecture that give consumers anywhere in the world quick and affordable access to electric services. Omnivoltaic markets its products in more than 30 different countries. Orb Energy (“Orb”) is a leading provider of solar energy solutions. Orb’s main activities are product design, manufacturing, sales, installation and servicing of solar photovoltaic (PV) systems for reliable power, solar thermal systems for hot water, and solar street lighting. Launched in India in October 2006, Orb provides solar energy systems to both residential and commercial customers looking for a better energy source. Orb exports its systems and components know-how to other high potential emerging markets such as Kenya, where it established a subsidiary in 2014.
ovSolar Power Co., Ltd. mainly focuses on the design, production and global marketing of photovoltaic products. As a subsidiary of clean energy under Hong Kong Changyuan Resources Co., Ltd., the company got registered in Hong Kong in April, 2013 and set its operation and production center respectively in Shenzhen and Guangzhou. With 4 years’ development, ovSolar has successfully expanded its business to over 30 countries in the world. Leff International offers comprehensive services related to international trade. Furthermore, the company has a great vision of the solar industry, and plans to develop, design and produce high quality and affordable solar-powered products (i.e. solar lighting systems, solar home systems, solar direct drive freezers etc.) to meet the actual requirements of customers around the globe. Renewit Solar Limited is a leading design and manufacturing company head-quartered in HK with its own manufacturing facilities in China and offices in London. We work with many leading brands and companies around the world. We have our own in house design, development, engineering and manufacturing. We are one of the largest manufacturers of consumer solar products with a wide range of solar product for consumers, agriculture, education and commercial businesses. Our HK based design, QA and merchandising team ensure we work to the highest international standards of both design and product quality and performance and offer this product at affordable prices. Shenzhen LEMI Technology Development Co., Ltd., founded in 2004 by Ms Chen Xiequn, is a professional manufacturer who is committed to provide quality solar products and solution to 1.2 billion people without access to electricity. We focus on Solar Home System and Solar Street Lights in off-grid market. LEMI has won tremendous success in many Asian and African countries. Our mission is to provide clean, renewable and affordable solar solution to improve people’s life in remote and underdeveloped regions. Solarway is a leading manufacturer of premium quality solar powered lighting and phone charging products. We specialize in renewable energy solutions that enhance and change people's lives by which providing lighting and communication solutions to millions of people living off-grid. Our aim is to confront challenges of lack of power for communication and lighting with reliable and affordable solar products. Solarway has a wide range of reliable and well-designed products, which are available worldwide at an affordable price. Our solutions perform in the extreme conditions bringing ability to have light and communication necessary for developing economies. SolarWorks! is a Dutch based company operational since 2008 with offices in The Netherlands, South Africa and Mozambique. SolarWorks! developed one of the markets most advanced solar product range. Its products were among the first to be certified by Lighting Global and more than 100,000 have been sold in over 10 African countries. SolarWorks! offers a full range of solutions starting with a solar lantern with phone charging capability – The Solar PowerBall, the Theft Proof Rooflight with motion sensor and our newest upgrade of the Solar Home System. SolarWorks! has its own PAYGO distribution company in Mozambique. Since being founded in 2010, Villageboom has been working in rural areas of developing countries to implement market-oriented business models, create new jobs, and bring consumer goods to meet daily basic needs to some of the most remote villages of Africa and Asia. WakaWaka (Off-Grid Solutions B.V.) is a social enterprise that develops and produces solar lights and chargers for the 1,2 billion people around the world that live off-grid. The company is currently piloting a pay-as-you-go system in Rwanda. Next to developing sustainable business models for off-grid markets, WakaWaka markets her products as a Buy One, Give One. These Give Ones are being handed to people that find themselves in emergency situations. Together with NGOs on the ground, these WakaWakas are distributed to victims of the earthquake in Nepal, health workers in ebola affected areas, Syrian Refugees, and other people in need. See WakaWaka's impact at www.waka-waka.com/impact. Zimpertec is specialized in Off-Grid Solar Energy Systems, Rural Electrification, LED-Lighting, Prepayment Systems, Solar Home System, Solar Charge Controller. Kit Solutions helps customers in sales and installation. 25 years of experience in renewable energy systems design and production. Solar Sister is the world’s leading social enterprise in eradicating energy poverty by empowering women with economic opportunity. Solar Sister has created a deliberately woman-centered direct sales network to bring the breakthrough potential of solar and clean cooking technologies to communities across Nigeria, Tanzania, and Uganda. Solar Sister’s last mile distribution model deliberately taps into the power of women to deliver clean energy access directly to the customer’s door, be it rural homes, health clinics, schools or small businesses. At the heart of Solar Sister is the belief that women must be a part of building a sustainable and equitable future for all. Their network of over 2,200 clean energy entrepreneurs has brought the life transforming benefits of solar solutions to over 700,000 beneficiaries across rural Africa. SOLARKIOSK enables and empowers the sustainable economic development of Base-of-the-Pyramid (BoP) communities worldwide through the provision of clean energy services, quality products and sustainable solutions. Intertwining an award-winning technology solution with an inclusive business model, SOLARKIOSK fosters local entrepreneurship at the BoP. The first SOLARKIOSK project was successfully implemented in 2012. Since then, SOLARKIOSK has established six country subsidiaries and is involved with projects on three continents. SunnyMoney is an award winning social enterprise and the largest distributor of affordable, portable and high quality solar lights in rural Africa. Owned by U.K. based international charity, SolarAid, we believe that the best way to tackle poverty and climate change is through a mix of charity and business. Through integrated programmes in schools and independent entrepreneurs we strive to reach the over 600 million using expensive, toxic and polluting sources of light like kerosene. We have operations in Kenya, Tanzania, Uganda, Malawi and Zambia. Our goal is to eradicate the kerosene lamp from Africa by 2020. Energy is a basic necessity and an essential driver of development, yet 1.2 billion people worldwide still lack access to electricity. To promote the emergence of new solutions in this area, Total introduced the Total Access to Energy program to develop innovative, economically viable solutions to improve access to energy for low-income communities in developing countries. Thanks to our strong field presence with service station networks and through innovative partnerships, we distribute top quality solar powered individual solutions and Solar Home Systems in 40 countries. Almost 2 million solar solutions have been sold since 2011, and our ambition is to impact 25 million people in Africa by 2020.